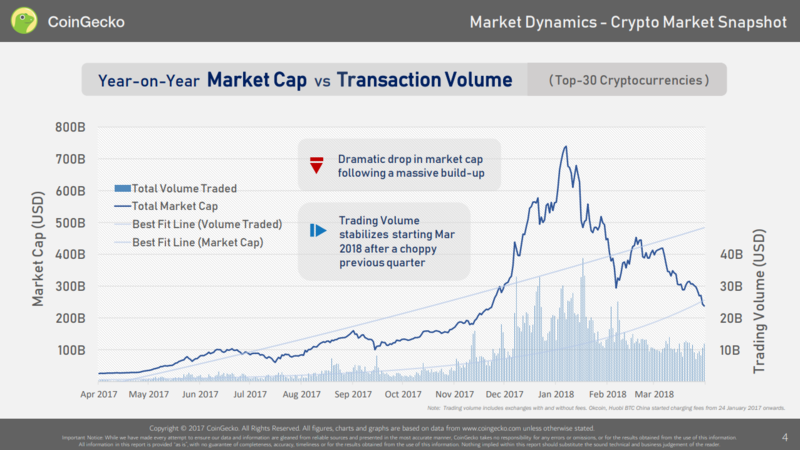 Despite the dramatic drop in market capitalization in Q1 2018, the market capitalization is still 4 times larger than what it was one year ago. 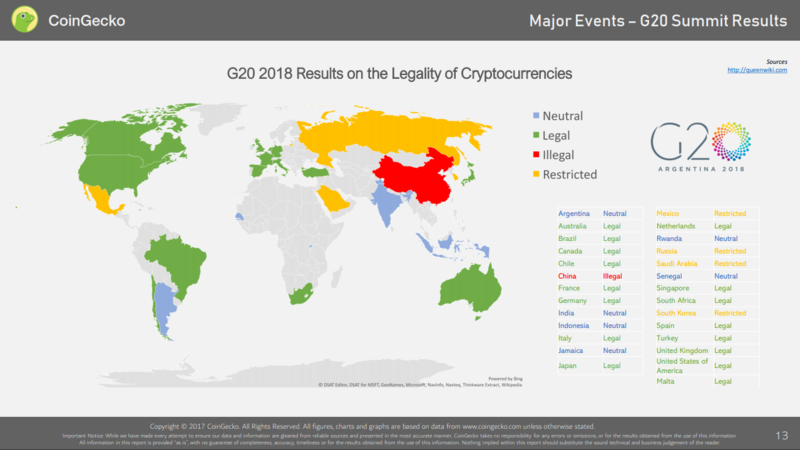 Cryptocurrency and blockchain gained attention from the major regulators in Q1 2018, with most governments remained positive over the impact of cryptocurrencies to the economy as shown from the results of G20 Summit on March 19-20, 2018. 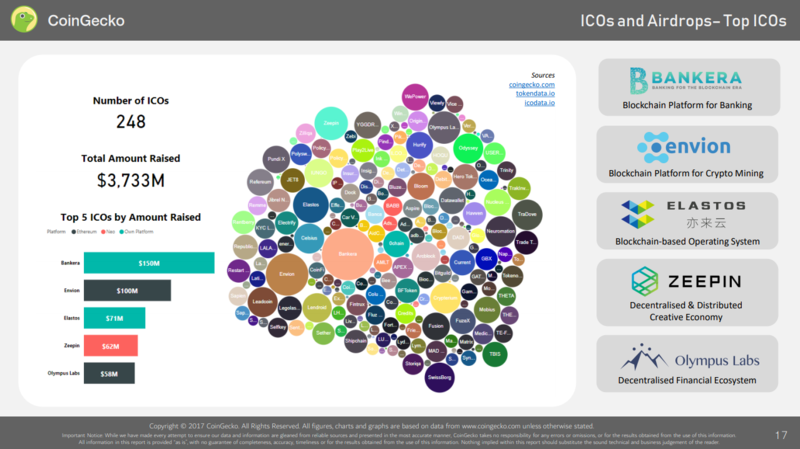 ICO interest remains strong, continuing the strong momentum from 2H 2017 despite crackdowns by governments in certain jurisdictions and concerns over tax and regulations. 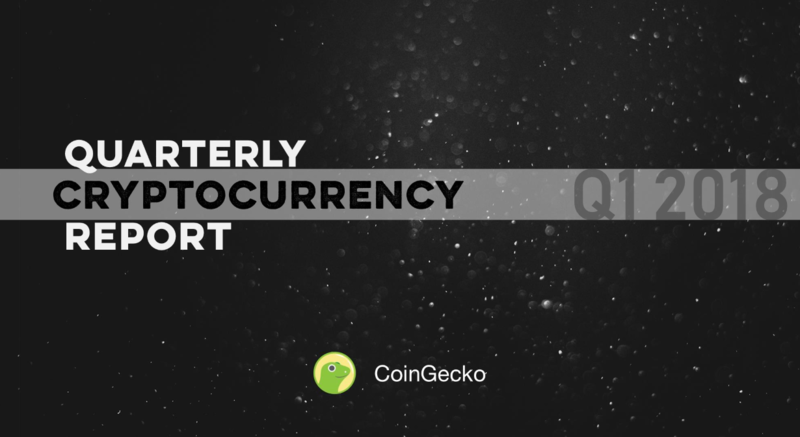 Most cryptocurrencies achieved their All-Time-High in December 2017. 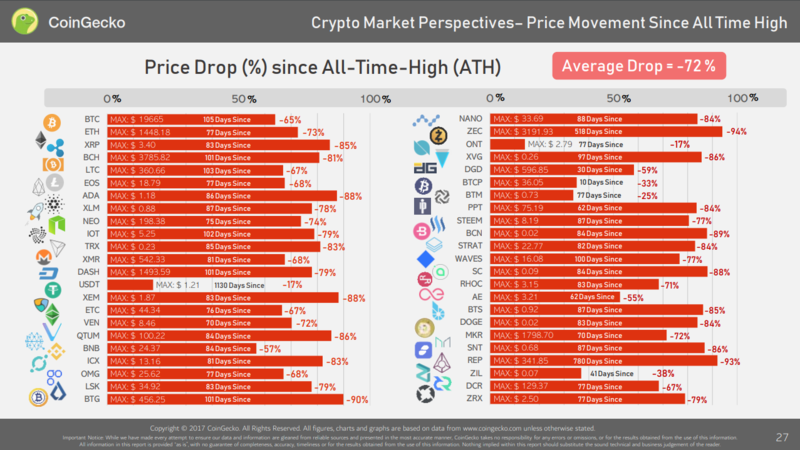 The prices have since dropped an average of 72% across the top 150 cryptocurrencies.